Born in Tasmania, Megan completed a Bachelor of Music in flute performance at the University of Adelaide in 1993. Subsequently moving to Frankfurt a.M., Germany, to continue her studies at the Hochschule für Musik u.d.Kunst, she has enjoyed many years of playing in professional orchestras, primarily in the opera orchestra of the theatre in Mönchengladbach, as well as teaching flute, chamber music, and English. 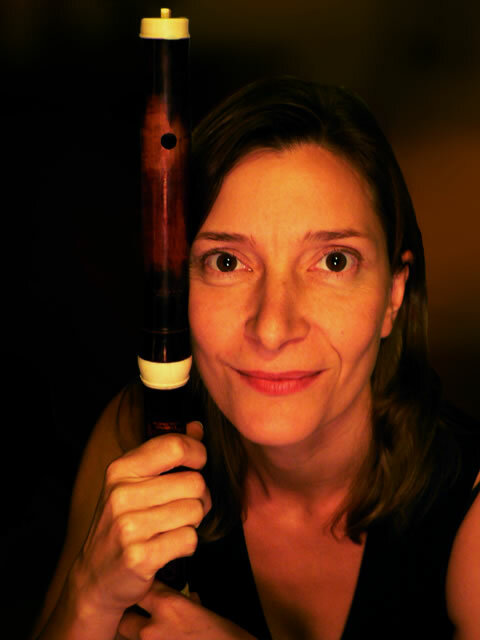 After taking up Baroque Flute with Michael Schmidt-Casdorff, Karl Kaiser, and Linde Brunmayr-Tutz in Germany, Megan returned to Australia in 2005 and completed a Masters degree in Period Flutes with Hans-Dieter Michatz and Melissa Farrow. She has since appeared with the Australian Brandenburg Orchestra, Ludovico’s Band and the Victorian Opera, as well as Salut!Baroque and the Australian Classical Era Orchestra.